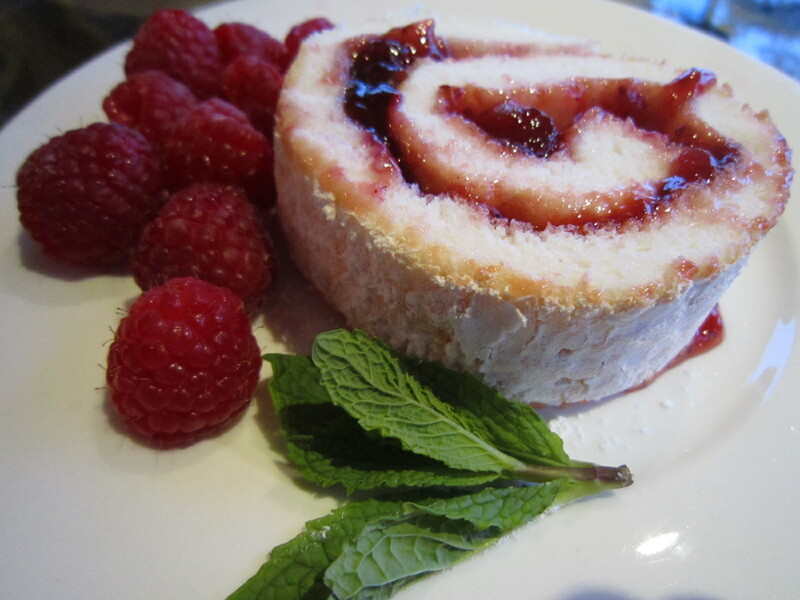 This jelly roll is sugary, yes, but made using Angel Food Cake, which is lighter and fluffier than a traditional Swiss roll; it practically eats itself. 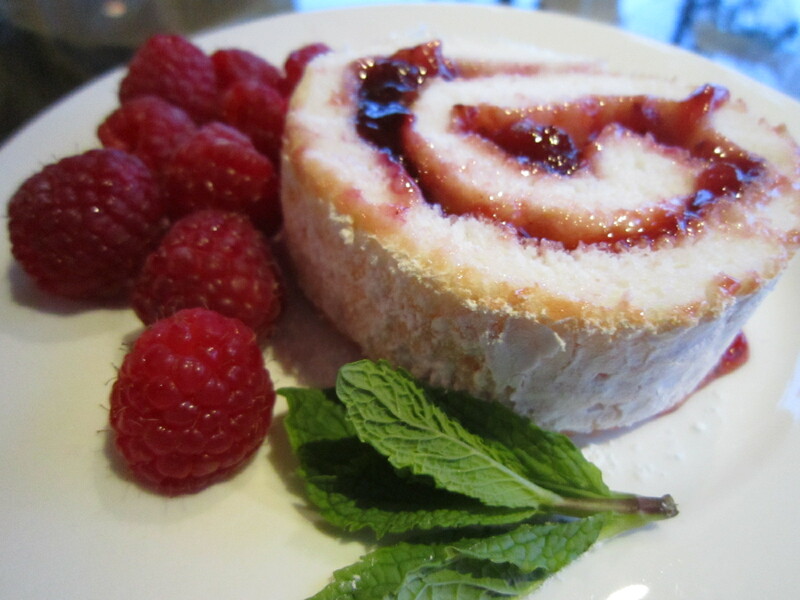 I love Angel Food Cake for the way it almost melts in the mouth and I would normally eat it in the summertime smothered in fresh strawberries and homemade whipped cream. It’s not quite summer yet, though here in Victoria the lawnmowers are already whirring in activity, the daffodils are in full bloom and the cherry blossoms that line the streets are beginning to lose their petals in a florid flurry of pink. 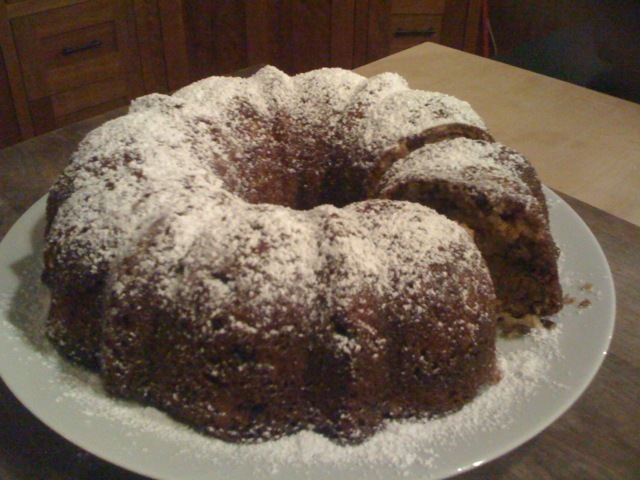 I’ve included the basic recipe for Angel Food Cake, though if you are short on time and already feel like you’re being put to work enough by having to laboriously roll up the cake and daub it with jelly, then take a shortcut and pick up the angel food cake mix from the grocery store. Otherwise, it is easy enough to make from scratch. You can also buy store-bought jam or make your own; I used the homemade strawberry-raspberry jam I had made a few weeks ago. 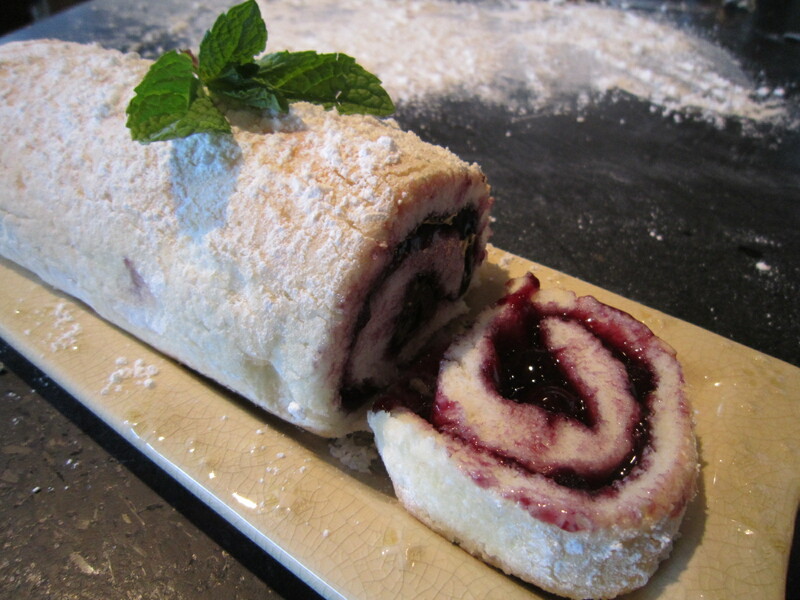 A tip, however: if you’re anticipating leftovers, the roll will soak up the moisture from the jam overnight and will likely be a bit soggy the next day – which is not ideal. It will taste much better within the first few hours of making.